The UK government is falling behind its electric car targets to reduce emissions, and the motor trade is not geared up to service them, a recent report finds. 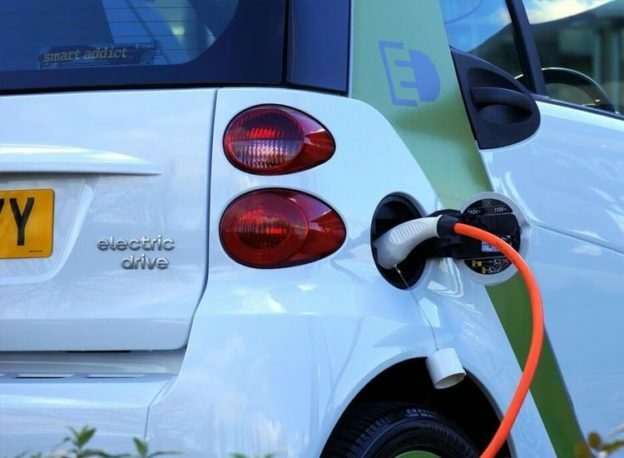 The Institute of the Motor Industry (IMI) has warned that, in addition to a lack of mechanics trained to work on the latest electric vehicles, there are not enough charge points on the road to handle even the existing number of electric cars. The only city on target to support the proposed number of electric cars is London, which has a greater number of charge points to provide the right infrastructure for such vehicles. Just 3% of all vehicle technicians are qualified to work on the latest electrified vehicles, the IMI has found. And as diesel sales fall, sales of full electric and plug-in hyrbid vehicles are anticipated to exceed 1 million vehicles by 2020, yet only 18,000 charging points are available at just 6,500 locations across the UK – the vast majority of which are in London. The government is being urged by the IMI to recognise the issues raised and to provide the right infrastructure for a future of electric and hybrid vehicles on our roads. Steve Nash, Chief Executive at the IMI, commented: “The recently published sales figures for electric and hybrid vehicles demonstrate that drivers are rapidly making the transition away from pure petrol/diesel engines. “However it’s vital that government recognises the new skills requirements needed to underpin the successful move to this new technology – which is entirely different to the skills required to service and repair internal combustion engines. As discussed recently, petrol and diesel cars are still the most common vehicles on our roads, However, electric and hybrid car sales are clearly on the rise, so particularly where service and repair is concerned, preparing for them could help you steal a march on your competitors. As there is a severe shortage of vehicle technicians outside of franchised dealer networks, gaining a qualification to work safely in electric vehicle repair and installing the right equipment to deal with the high-voltage systems in such cars could help you to form a niche offering that stands out from the competition. However, it seems clear that more needs to be done to put the right infrastructure in place for the future. Investing in training and equipment right now is likely to be costly, so needs to be catered for when looking at the profitablity of a service and repair business. That said, working alongside used car dealers to provide an option to work on these vehicles could mark you out as a ‘go to’ technician and could end up being lucrative if there is enough work to make it viable. Look at your local market and see how many older electric and hybrid vehicles there are on the roads. By offering an alternative option to a franchised dealer, independent mechanics can help to set up a stream of future work for themselves, planning beyond the existing petrol and diesel powered vehicles as they gradually disappear from our roads. ChoiceQuote remains one of the leading providers of motor trade insurance in the UK, with over two decades of experience in covering vehicle sales, service and repair and connected trades. Whatever the future holds, ChoiceQuote will be here to provide affordable motor trade insurance to meet the needs of your business. So if you’re thinking of selling electric vehicles or servicing them, give our friendly advisers a call on 01625 885046 to discuss your insurance needs.